Weight whose inertia exerts a force opposite to the force exerted on the rope. 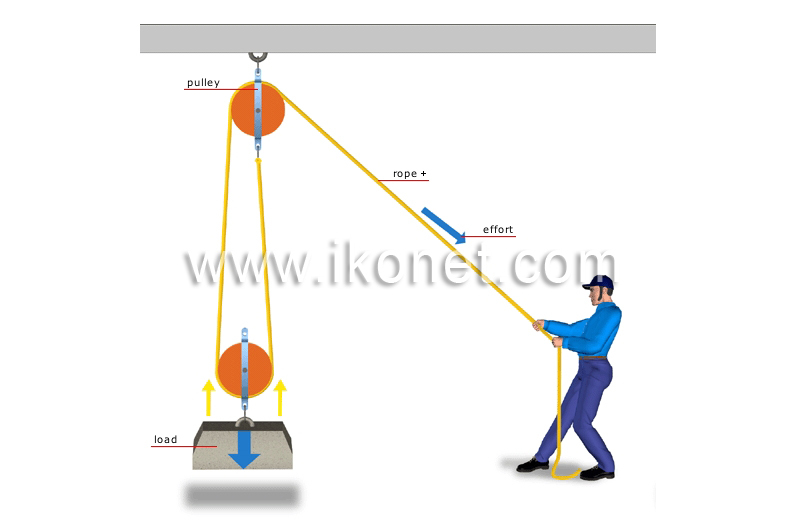 Device with a grooved wheel (sheave wheel) around which a rope passes to transmit the effort exerted on the load. Cord that slides on the pulley and is pulled to lift the load. Force exerted on the pulley’s rope to lift the load.